Celia Bedilia started out as a home decor store in Portland, ME over ten years ago. The inspiration for the name of the company came from my childhood nickname given to me by my siblings. When I opened the interior design business seven years ago, we gave up our retail space and went online with our business. I was born into the design world; my great-grandfather was an impressionist painter, my grandfather & father were both architects and my mother was an interior designer. Even more, all four of my siblings are also in the art/design fields of work. We simply had no choice, designer blood runs through our veins! Prior to my interior design business, I worked in the wholesale/retail world for several years, first in sales and then in design and production. In addition to interior design, I do event planning & design. I love entertaining and adding unexpected touches to my events. I am a very visual person, I can see an event or home in my mind well before I can put it on paper. Details are incredibly important to me and to my clients. I have been traveling in Italy for the past few years, trying to learn the language and culture. I love Rome’s history, culture, and architecture. I truly love my work and it is important to me to take the time to work closely with my clients, as we bring their visions to life. More so, it is imperative that each one of my projects reflects the clients taste and interests rather than my own. 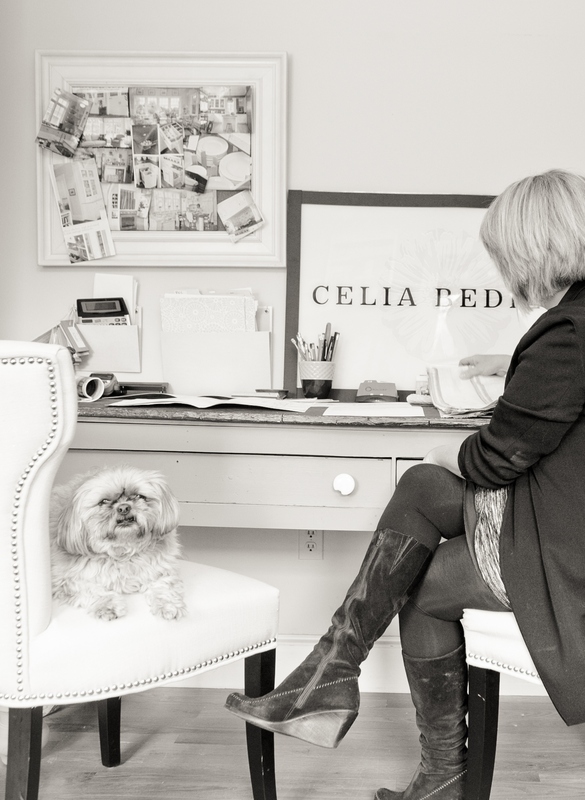 Here at Celia Bedilia, we can help you bring your ideas to actuality. We are also so proud of our One Lovely Blog Award! I love riaedng these articles because they’re short but informative. You’re nickname wouldn’t have by any chance come from the ‘Amelia Bedelia’ books? Indeed it is from Amelia Bedilia! Thank you so much for your comments! I always love to look at before and afters. It looks so effortless but I know that it can cause lots of trouble…not only if you do a renovation from a distance. Thank you Rachael! I am about to get very tough on myself after the last lesson. I know my photos do not line up…back to work. look forward to reading your blog. What have you learned thus far from BYW that you did not know? I have found that planning my posts for the month helps. I choose topics (one a week) and then research them, this keeps me on track. Try it and let me know what happens. I had photos done today, I hate having my picture taken. Hi Celia! Your site looks so appealing! No surprise there, plus all your ecstatic clients – raving about you! This is great to see. Thank you Susie, Happy New Year! I’m very interested in your custom vanity ($650) or similar you have listed. How do I go about contacting you about it? Thanks! I AM SO SORRY! I just got this.